C10 Concrete is used for lightweight domestic applications such as foundations for steps, trench fill, floor blinding & drainage works. C20 Concrete is used for lightweight domestic applications such as foundations for small walls, steps, driveways and shed, conservatory and greenhouse bases. C25 mix is great for filling footings and foundations, including mass concrete, trench and reinforced fill. Along with general ground works and over site, it can also be used for kerbing and infilling around manholes. C30 mix is used for pavement construction and is ideal for patios, garages, driveways, paths, workshop floors and reinforced hard standings. C35 mix is a heavy-duty concrete. Common applications include raft foundations, piling, reinforced bases for commercial buildings. Our C40 mix is the strongest we offer and is largely used for industrial projects such as roads and roadworks, support beams, swimming pools and septic tanks. High quality floor screed mix in any amount produced to British standards will be delivered to your site by highly professional ready mix truck drivers. Also known as trailer-mounted concrete pumps, line pumps use steel hoses to transport liquid concrete. These pumps are ideal for small-scale construction projects because they pump concrete at lower volumes. Boom pumps are highly significant concrete pumps that help in transporting liquid concrete to the exact location with the help of a remote-controlled robotic arm. These pumps are ideal for large-scale construction projects. In East London, Kent & Essex for both commercial & domestic. We at Ready Mix Specialists supply all kinds of grade concrete for your residential and commercial needs at highly reasonable rates. We fully understand that you can’t accomplish your construction projects without the assistance of quality concrete, and hence we make all the efforts to provide timely services to you. 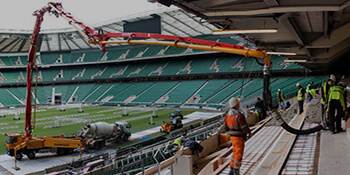 We pride ourselves on offering high-quality concrete boom pumping, concrete line pumping and on-site concrete mix services to our clients in London. Whether you are constructing a beautiful house or a commercial building we offer top quality concrete for all kinds of construction projects. Only pay for what you need. Call now! Best prices for ready mix concrete in London Essex and Kent guaranteed! We are fully insured, ISO 9001 Certified and Fors Bronze audited. 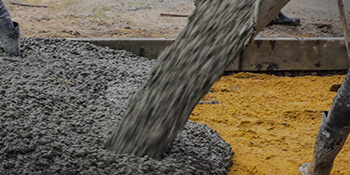 At Ready Mix Specialists, we supply top quality ready mixed concrete for both commercial and domestic use. Using our fleet of specialist volumetric cement trucks, we can deliver the exact amount of concrete that you require straight to site, meaning you only pay for what you need. 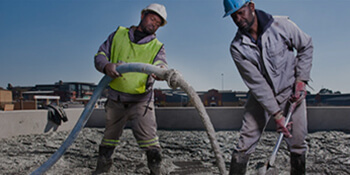 At Ready Mix Specialists, we pride ourselves on our selection of strengths and grades of ready mixed concrete, available at competitive prices. For difficult to reach or high up areas, we use concrete pumping to transport concrete easily and safely, straight to the pour site. At affordable prices, we can supply a concrete boom pump for both domestic and commercial use, with any type of cement grade. For difficult to reach or intricate areas, we use concrete pumping to transport concrete easily and safely, straight to the pour site. At affordable prices, we can supply a concrete line pump for both domestic and commercial use, with any type of cement grade.